The 83rd Celebrate Northeast Parade will be held on Tuesday, June 19, 2012. Step off is at 6:30 p.m. The parade will travel from south on Central from 28th Avenue to 14th Avenue. It is one of the largest and longest running parades in Minneapolis and is the second oldest in the state of Minnesota. Each year 4,000-7,000 people line Central Avenue to watch the parade and many more watch it on cable television throughout the year. This yearly event is fun for families and spectators. Join us in this great celebration. Check minneapolischamber.org/parade for more information. For volunteering opportunities or questions, contact celevens@minneapolischamber.org or by telephone at 612-378-0050. Northern Spark is an active celebration of the creativity of artists and the creative programming of cultural organizations. 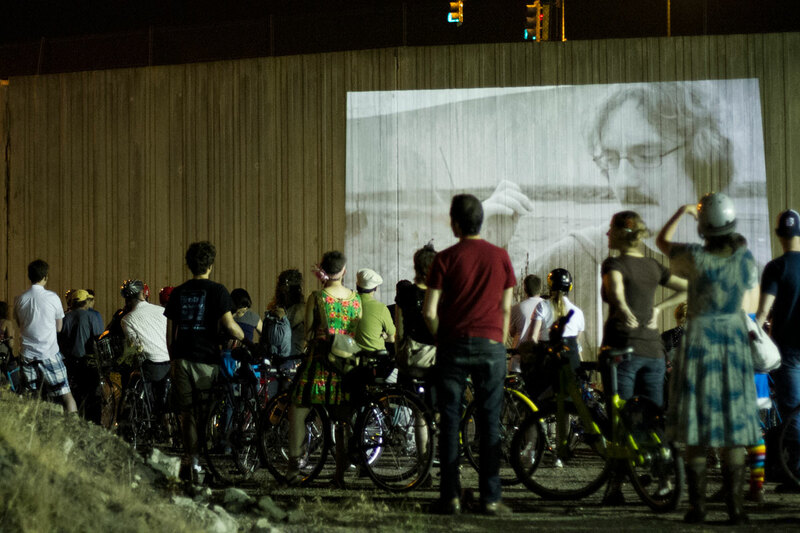 Last year, during the night of June 4, 2011, there were 50,000 visits to 100 projects by more than 200 artists in collboration with 60 cultural organizations and sponsors at 34 venues in Minneapolis and St. Paul. Northern Spark was a one-night creative explosion. To join this extravaganza this event runs from June 9-10, 2012 from dusk till dawn. Check northernspark.org. For volunteering opportunities contact Birdie Freitag. Daniel Dean and Ben Moren, Mobile Experiential Cinema. Courtesy the artists. The 2012 Minnesota Film and Video Grant Program will award grants to emerging fim and videomakers in the disciplines of experimental, narrative, documentary and animated film and video making. 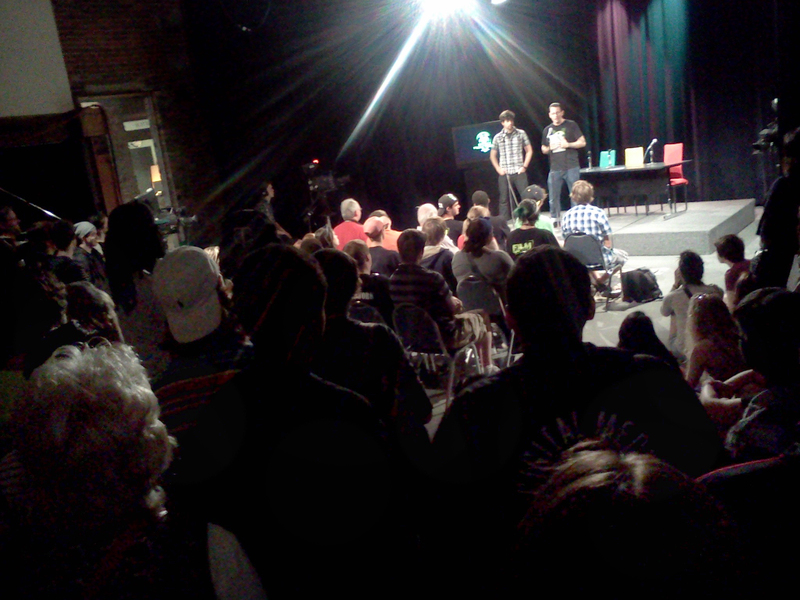 The deadline for applications to the Minnesota Film and Video Grant Program is July 20, 2012. For more information see jeromefdn.org. 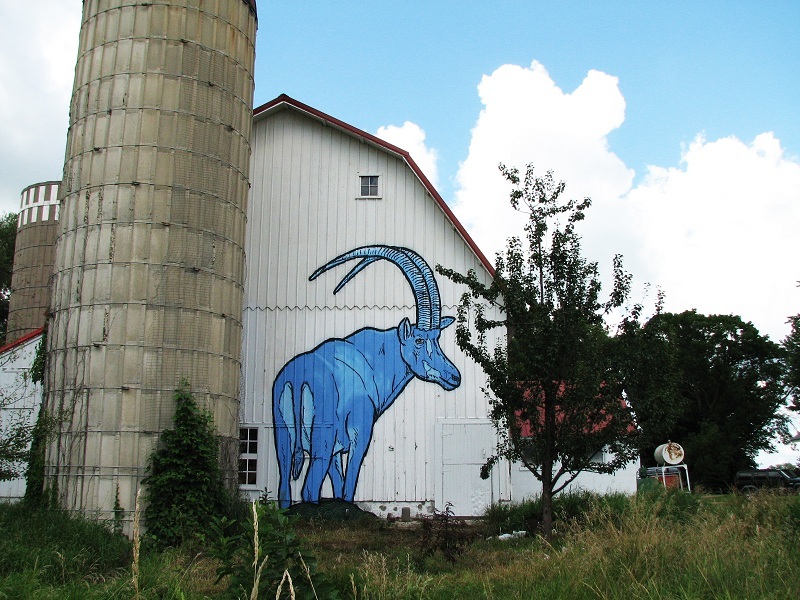 Rural Mural by Mike Fitzsimmons and John Grider; Forecast Public Art, Hutchinson, Minnesota, 2010; photo courtesy of the artists. YOUTH RECAP: TCYMN Youth Media Summit! 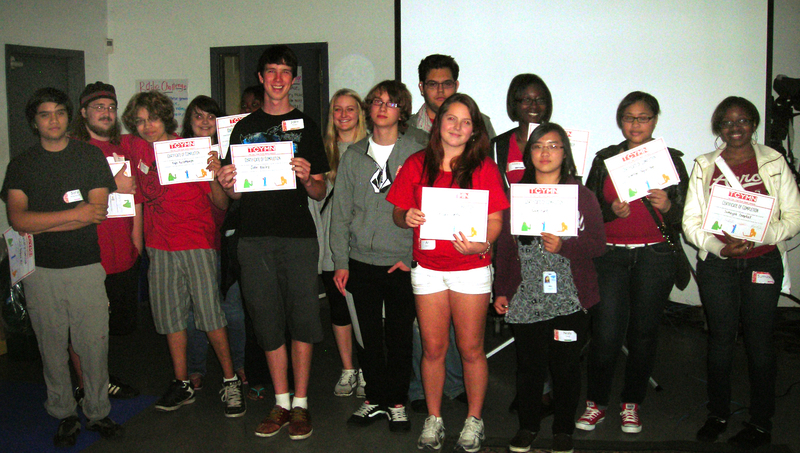 Youth from across the Twin Cities gathered at MTN on Saturday, May 12 for the annual TCYMN Youth Media Summit. Each spring, as part of TCYMN's mission to empower youth media producers and educators, the network sponsors a Youth Media Summit where youth media producers from across the Twin Cities meet each other, learn more about media, and create original films and radio pieces in randomly selected teams. During the course of the day, youth at the Summit are put into groups, assigned a genre (such as documentary, narrative, or experimental), given a prop, and challenged to work together to cretae an original film from start to finish. To find out more about opportunities for a youth group tour of MTN, visit mtn.org/youth. Photos courtesy of Alex B. Around 250 students from schools in the metro area and greater Minnesota attended the EDU Film Festival on May 18. The Edu Film Festival is a showcase of the best of student film and video work from around Minnesota. This was the fifth year of the festival, and the third year that MTN has been an important partner. A crew of 10 of MTN's South High school Voices students ran MTN channel 16 for five hours of live festival coverage that day. Youth-made films screened in two of the St. Anthony Main movie theaters downstairs while panel discussions and the closing/award ceremony took place in MTN Studio A. 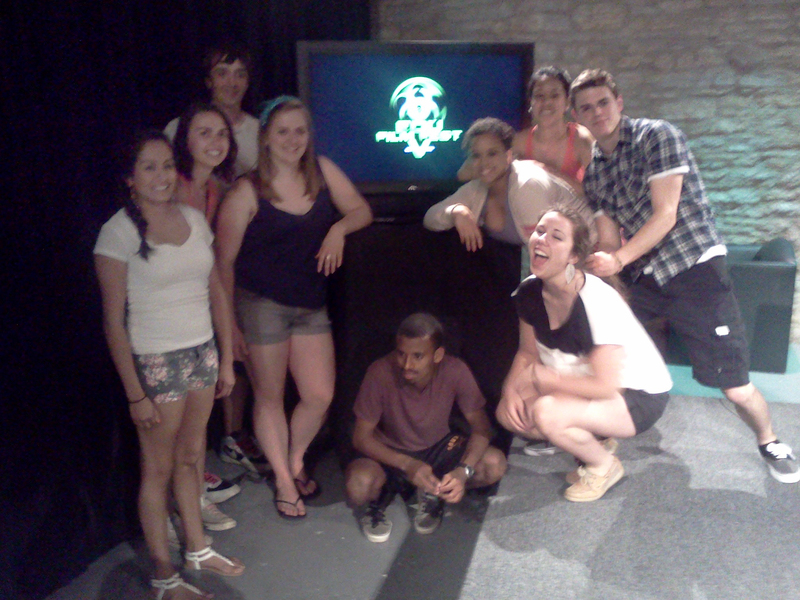 The MTN youth crew also fanned out around the St. Anthony Main area with MTN's PDX-10 cameras. They interviewed the movers and shakers of the festival as well as youth attending it. 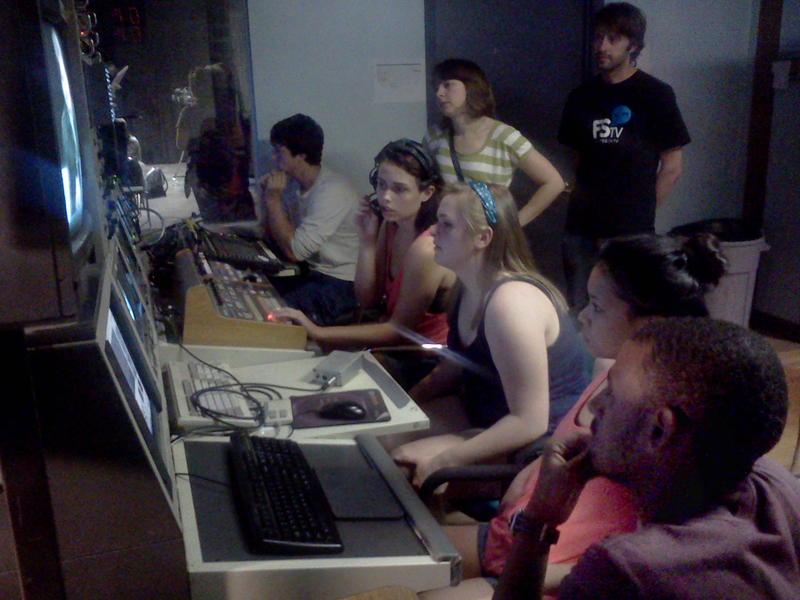 In between the event in Studio A, the students telecast their field reports and the films that were running downstairs in the theaters. The professional attitude of the students who ran the channel was clear to everybody who attended the festival. The MTN South High Voices students who ran the channel were Miles Westrich, Maddie Spartz, Joni Phiravanh, Maya Gajavada, Annie Pudvah, Sam Harper, Liliana Badertscher, Shonti Smith, Eva Mitchell and Abdulfatha Sameru. They were assisted by MTN media mentors Alex Betzler, Hamil Griffin-Cassidy and John Akre. Look for repeats of the live EDU Film Festival coverage on MTN channel 16 and on mtn.org. Photos courtesy of John A. REMEMBER: Someone YOU Know Could Take the Free MTN Orientation Upcoming dates for the orientation: June 13th, June 27th and July 11th. Starts at 7 p.m. Come in, send someone, or come as a GROUP to learn what MTN is all about!